Sean Johnson needed a change a scene from Chicago. Johnson was able to keep a shutout against D.C. who hasn't been able to score a goal this season. Johnson was his typical athletic self and was able to record 4 saves and keep the shutout for NYCFC. The backline for NYCFC hasn't been great yet this season so his play was even more impressive in week two. Kappelhoff has dominated 2017 so far for the Fire. He has really impressed me and has easily been the team's best defender so far. Kappelhoff stopped everything that came his way. He was able to use his big body and clear everything out of the Fire's box. Kappelhoff was also able to record an assist in this game to help the Fire win 2-0 over RSL. Last season's defensive player of the year is back on the MLS Aces team of the Week. FC Dallas started a very young lineup in preparation for their Champions League game. Hedges was the one player from their normal starting lineup to give some stability. Hedges lead the non-typical backline to a shutout tie against Sporting Kansas City. Hedges is by far a top defensive talent and was able to lead a less talented backline to a shutout tie on the road. Lima might be one of the most exciting players in MLS through two week so far. Lima is someone who I predicted to be the rookie of the year because he has true talent. Last week Lima was able to help shutdown Ignacio Piatti and now this week he was able to play great defense against Vancouver. Even though Vancouver scored two goals he wasn't at fault. Lima was also able to factor in on the offense by scoring his first MLS/professional goal in the 54th minute. Garza comes into MLS as a top left back and he proved that this week. Garza was the best defender on a backline that help Minnesota to one goal (that goal was a PK as well). Garza looks like he will be able to thrive in MLS and be a dominant defender. Garza showed his passing ability as well by assisting on a Jacob Peterson goal in garbage time. Expect to see Garza more on our team of the weeks. The Impact tied the Sounders 2-2 this week. Piatti made it onto the score sheet for both Montreal goals, and for that, he deserves to be on the team of the week. Piatti assisted on the first goal of the game scored by Matteo Mancosu. He then later scored his first goal of the season in the 51st minute of the game. Montreal's defense couldn't hold the lead but that doesn't deny the great game that Piatti had. Alex has been the best midfielder through two weeks of this MLS season. Alex has held the ball great in the midfield. He has help up play allowing Torres, Elis, and Quioto to have shots on goal. This week Alex racked up two very nice assists on the goals scored by Alberth Elis and Cubo Torres. Alex's passing ability hasn't been the best part of his game in recent years but it looks like he has worked on it this offseason. Almiron probably would of had my player of the week honor if it wasn't for his teammate. MLS fans saw exactly why Atlanta United paid a lot of money for the young South American. This week Almiron was able to score a brace (goals coming in the 13th and 52nd minutes) and he assisted on Josef Martinez's first goal in the 3rd minute. Almiron was stellar against Minnesota United and put the rest of the league on watch. His ability is rare to see across MLS and makes Atlanta's midfield much better. Moralez is another new MLS player to make my team of the week. Maxi proved why NYCFC made him their third DP by scoring his first ever MLS goal and assisting on two more goals. Maxi seemed to pair up well with David Villa and Rodney Wallace. If Maxi can keep up this level of play than NYCFC might be even better than they were last season with Frank Lampard as their DP. As mentioned earlier, a certain Atlanta United player was my player of the week and here he is! Josef Martinez went OFF against Minnesota United by recording the clubs first ever hat trick. Martinez started his scoring off in the 3rd minute, later added another goal in the 27th minute, and finally finished the hat trick with a 75th minute goal. Martinez is rising up the list of dangerous forwards in MLS. Is it even weird to see Villa on here anymore? 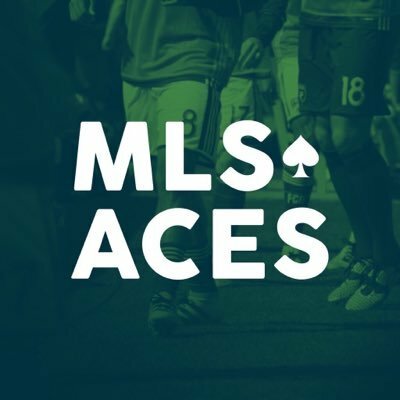 Villa was a constant member last of the MLS Aces team of the week last season and now he is back. Villa scored his first two goals of the 2017 campaign in NYCFC's 4-0 win over D.C. United. Villa was just once again dominant in the team's home opener and I expect much of the same throughout the season.